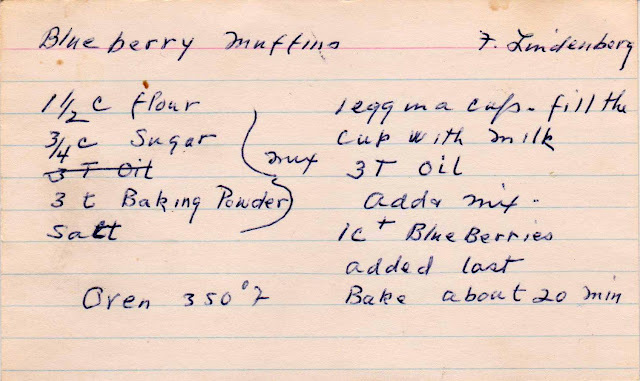 Many years ago, while blueberry picking in the Adirondacks, we found an orchard so rich with berries (as in, you could pick them by the handful!) that within an hour or so, we had amassed nearly 15 pounds of the fruit. (And that doesn't count the fact that the children ate more than they dropped in the bucket.) 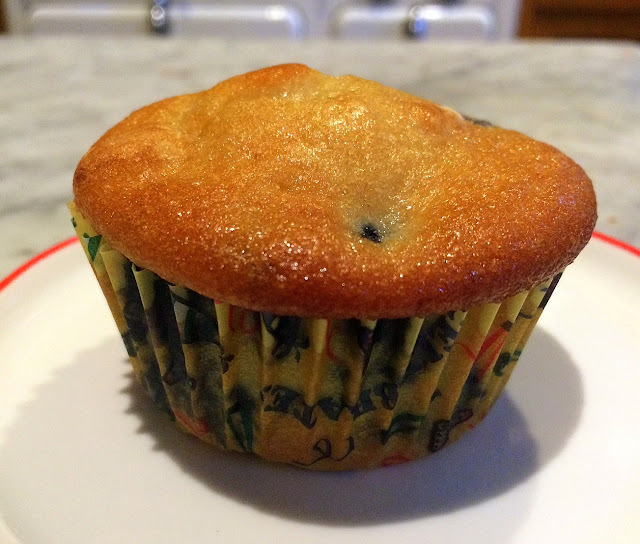 During the following week, I baked them in numerous pies and cobblers and muffins and cakes from all sorts of recipes, but until this week, I'd never found a blueberry muffin recipe as simple and delicious as this one. 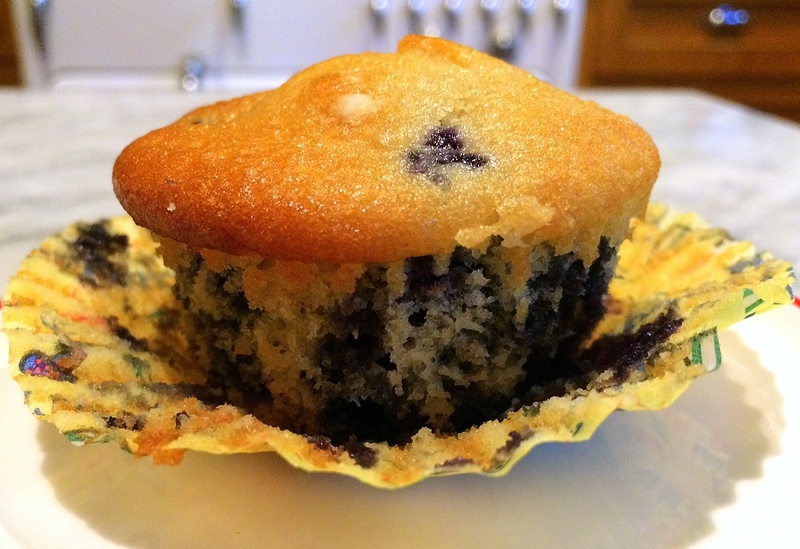 It is ridiculously easy, so simple than an eight-year-old could make these. Or maybe even a four-year-old. They require no special equipment: just one bowl, a measuring cup, a spoon and a fork. 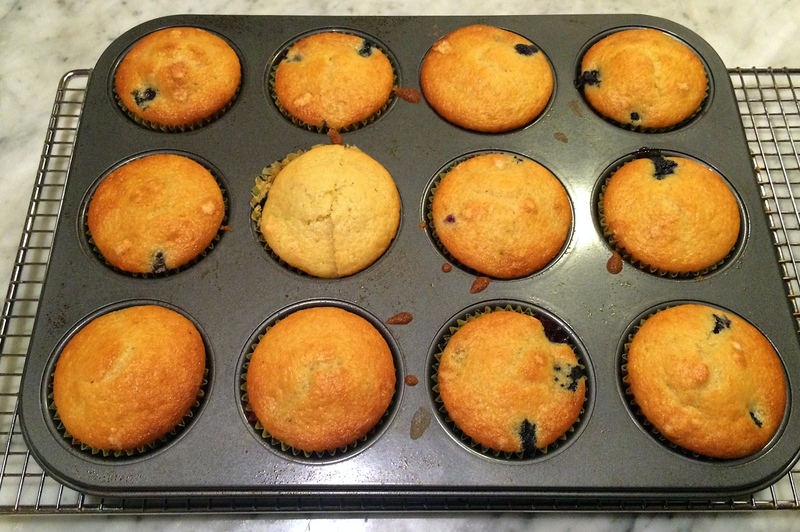 And muffin tins, of course. 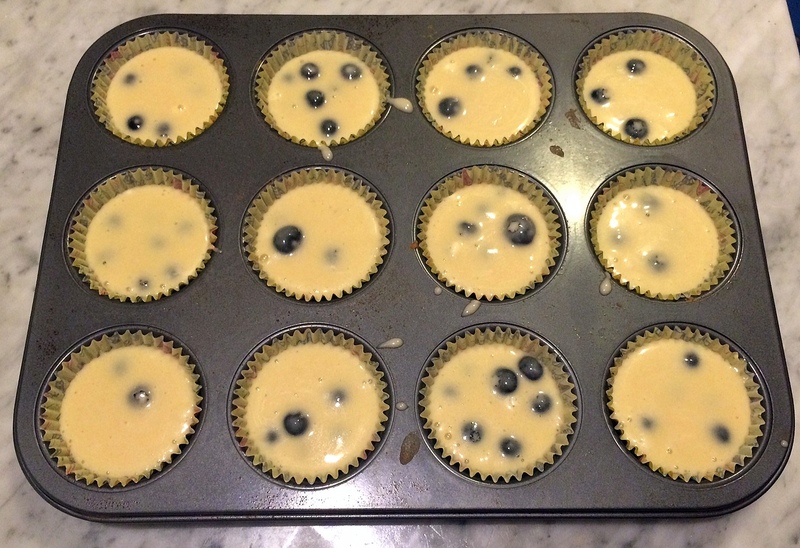 The batter can be put together so quickly, that you can enjoy warm-from-the-oven muffins in just over 30 minutes. Below are the ingredients: blueberries, an egg, oil, milk, flour, sugar, baking powder and salt. Combine the dry ingredients in a bowl and mix with a fork. 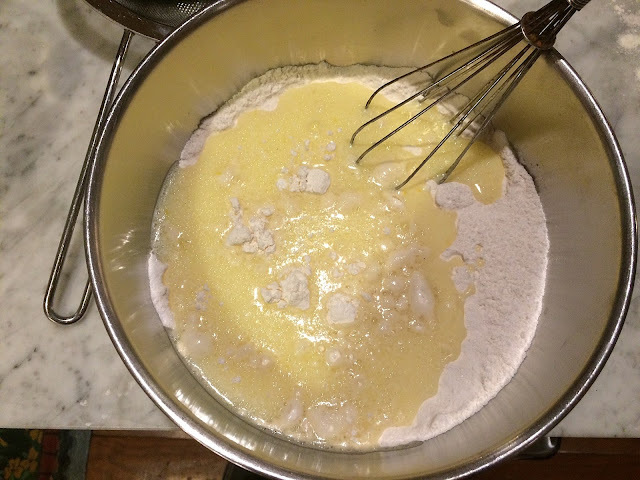 Add the wet ingredients (the egg, oil and milk) and stir together. 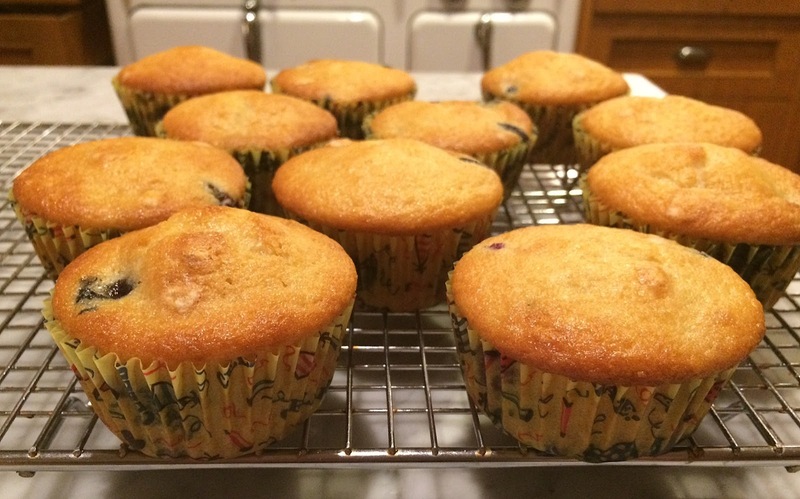 Spoon into paper-lined muffin tins. Production notes: I followed this exactly (and have written out the method a bit more clearly below). I used 1 percent milk (because that's all we had) and regular vegetable oil. 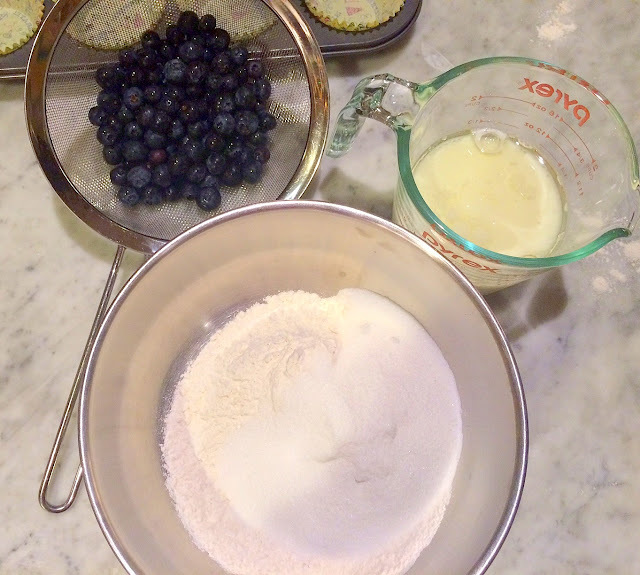 In a large bowl, combine flour, sugar, baking powder and salt. Set aside. Break an egg into a two-cup glass measuring cup. Add milk to reach the one-cup mark. Add the oil. Mix together with a fork, breaking up the egg. 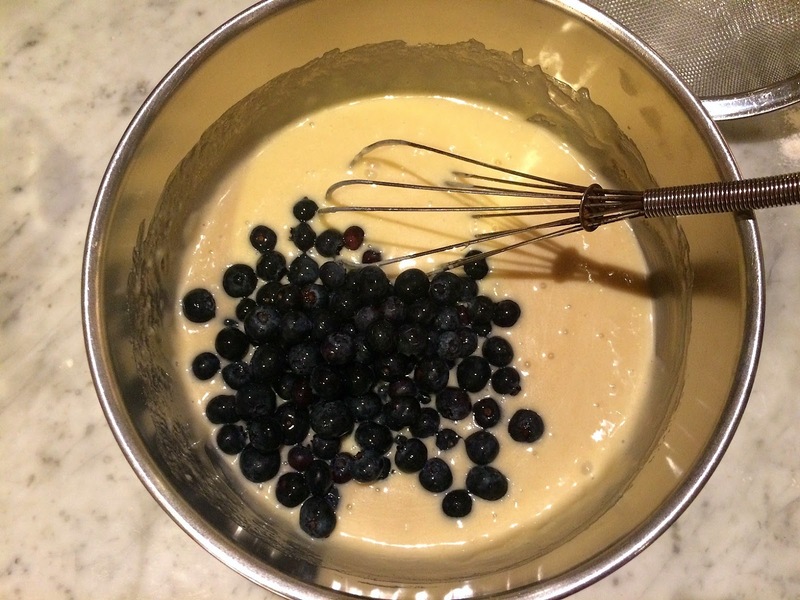 Carefully blend in the blueberries. 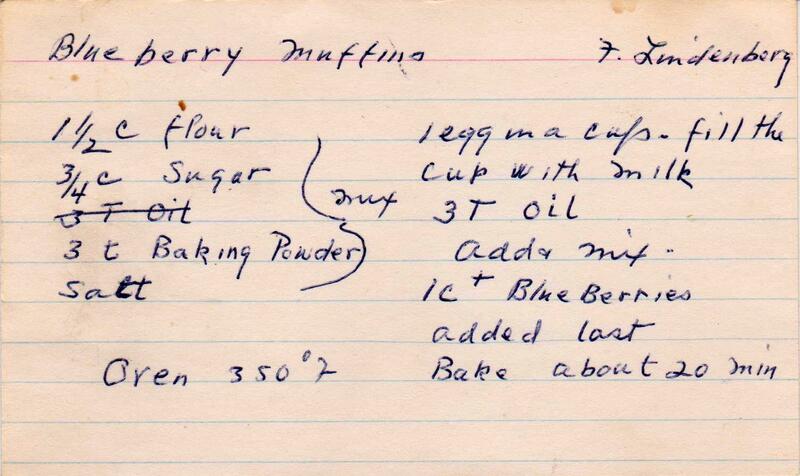 Bake until done. (20 minutes wasn't enough in my oven -- you want some color on these -- so I baked them for nearly 30).